Ahhh I love this top!! I've seen in on a couple people, and it is just so good. Love how you styled it with the black jeans. Fun denim too! That top is just gorgeous! Holiday party perfection! I definitely need it in my life! I love the detail on the sleeves! What a fun and unique blouse for the holidays! This top is stunning! 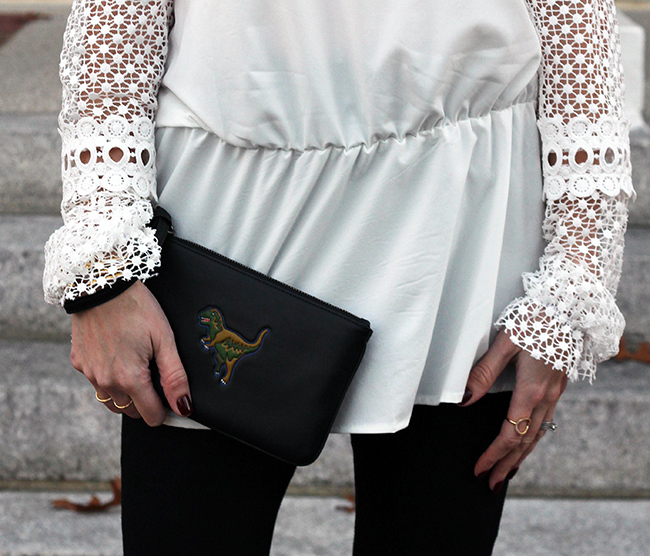 I love the crochet and how stinkin cute is that coach clutch?! I loved your heels! The blouse and the pants are so perfect. This top is gorgeous! 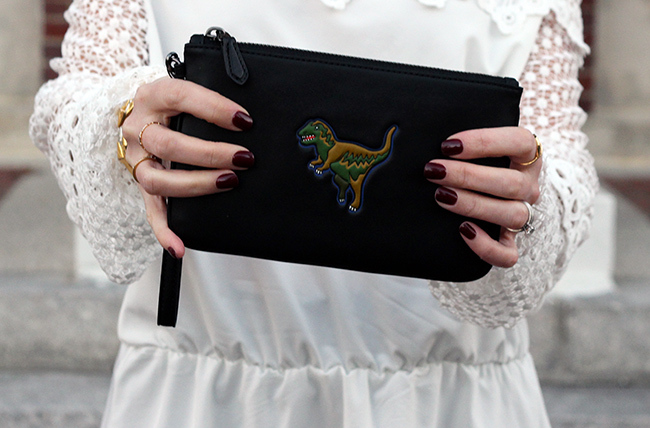 I am loving all of the dino pieces at Coach right now. I have my eye on the bomber. So cute! I LOVE this top! Those crochet sleeves and off the shoulder look are just fabulous! Love it! This is SUCH a gorgeous top! I love the lace! Also, your outfit is adorable! Beautiful top! And I love that you're rocking dupes - it looks just as lovely as the real thing. This top is amazing, I need it!